Jenkins Johnson presents Somewhere In Between, an exhibition of new works by New York based visual artist and painter David Shrobe. He creates paintings and assemblages from repurposed, unconventional, or found materials. Jenkins Johnson presents Somewhere In Between, an exhibition of new works by New York based visual artist and painter David Shrobe. He creates paintings and assemblages from repurposed, unconventional, or found materials. Shrobe’s first west coast solo exhibition is on view September 22 - October 27, 2018. Somewhere in Between gives us windows and portals, as the artist often refers to his work, that provide glimpses into uncharted territory, and transport the viewer and his subjects. Shrobe invites us to partake in a multilayered exchange of materiality, symbolism, and multiple perspectives, where abstraction and figuration coexist and new portrayals emerge. His work presents alternative representations that project empowerment and defiance towards prescribed systems of authority. His unique visual language combines painting, drawing and collage. Shrobe's work is created in part from found objects sourced from the surrounding area of his familial home. He invites the materials he reuses to tell their own story, “freeing [the viewer’s] imagination from the trappings of social object memory” while creating spaces where she or he might participate in an exercise of redefining the self. The title of the show suggests that there has been a departure of sorts, the destination unknown, a journey, be it physical, self-exploratory, spiritual or through time, in search of a place within the universe where one fits in. 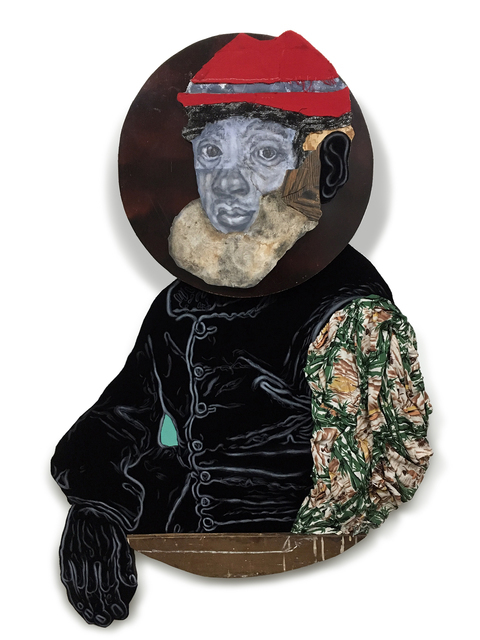 He fuses his found materials into portraits that feel otherworldly, no longer fixed within spatial or temporal boundaries. 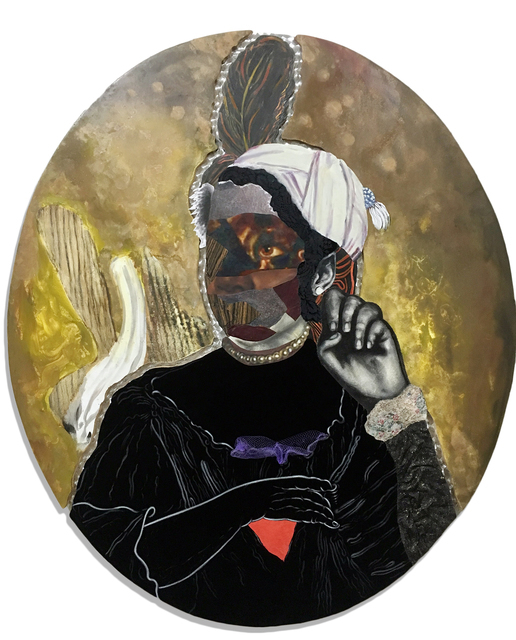 As writer and critic, Antwaun Sargent says, Shrobe's work "...alludes to the Great California assemblage artists John Outterbridge, Betye Saar, and Noah Purifoy. That generation of artists like Shrobe are defined by a black materiality. The significance of …. is in the overlooked matter that show the way a people build, maintain, and sometimes rebuild their communities." Shrobe received his MFA in Painting at Hunter College and is a graduate of Skowhegan School of Painting and Sculpture. He was a participant in The Aesthetics of Matter curated by the Deux Femmes Noires, Mickalene Thomas and Racquel Chevremont, and has recently exhibited in Harlem Postcards at the Studio Museum in Harlem, Bronx Calling: the Fourth AIM Biennial, at the Bronx Museum, and Meta-Modes, at the Sugar Hill Children’s Museum of Art & Storytelling.